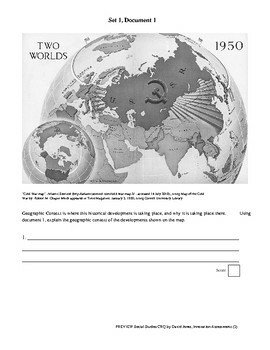 This product is a constructed-response question assessment in the format of the new New York State Regents examination in Global History and Geography rolling out in 2019. A "set" consists of two pairs of documents. This product is a complete part II as would be on a NYS Global History and Geography Regents examination. That is, there are two pairs of documents with the accompanying questions. 2. 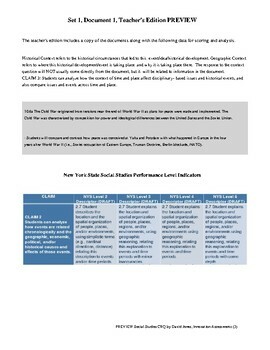 Teacher version of the assessment in PDF format named CRQ402403t.pdf with full citations referencing NYS Social Studies Frameworks, claims and performance level descriptors, and suggested answers in an answer key.